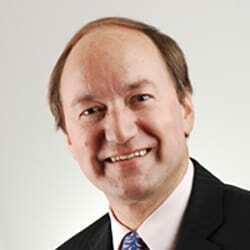 David Hodson is a creator and one of the founders of the English family arbitration scheme and among the first trained. He is a specialist in complex financial disputes, often with an international element. He is a solicitor, mediator, part time family court judge in London and also an Australia qualified solicitor and barrister. He arbitrates in England and abroad, uses Skype and webcam and other IT. He conducts arbitrations on paper, through email as well as actual arbitration sessions. 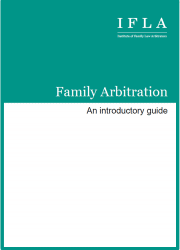 He is very flexible in whatever arrangements are best for the couple using arbitration. Because he is very experienced, he can conduct matters very quickly. Arbitrations can be set up very fast when needed. He takes a robust and practical approach to finding the best solution. He is highly regarded and respected within the profession. He brings his mediation skills and experience to his arbitration work. He acts in faith based disputes, including within the Christian community. He handles cases involving complicated pensions, trusts, corporate holdings and foreign assets. Confidentiality is assured. His charges are deliberately competitive to provide an effective and cost efficient service. 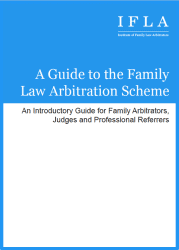 As a founder of family arbitration, he is very aware of the many benefits of arbitration compared to final court hearings and some forms of ADR. Much of his work has an international element, both EU and non-EU. He is used to dealing with international assets, foreign trusts and offshore pensions. He is willing to arbitrate abroad just as he presently conducts mediations abroad.